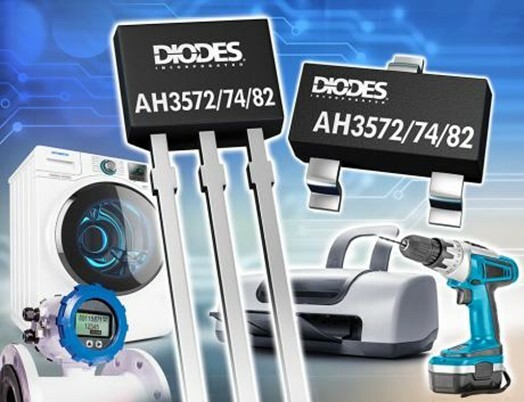 Diodes Incorporated, a leading global manufacturer and supplier of high-quality application specific standard products within semiconductor markets, announced its AH35xx series of omnipolar Hall effect switches. 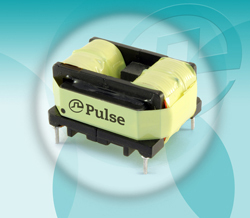 These devices feature a wide operating voltage range of 3V to 28V, enabling them to support most rails commonly found in industrial, office, and home appliance applications. 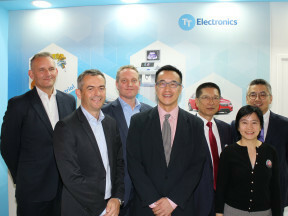 “The combination of performance and robustness of our high-voltage omnipolar Hall effect switches makes them well-suited for appliances and industrial products.” said Charles Kuo, worldwide sensor marketing manager for Diodes Inc. The devices feature high threshold stability and low temperature drift. 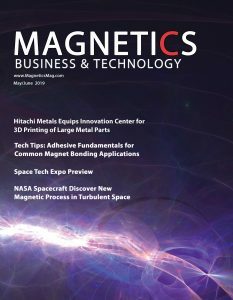 The AH3572 and AH3574 feature an active-low, open-drain output, while the AH3582 provides an active-low, internal resistive pullup output, which can reduce component count and overall solution size. The fast power-up and response times of the AH35xx series makes them particularly suitable for critical applications in protection and fault detection. The AH35xx Series has been designed to operate across an ambient temperature range of -40 degrees Celsius to +125 degrees Celsius The AH35xx series is available in SOT23 and SIP-3 packages. For more information, visit: www.diodes.com.